On Sunday the clear skies and high temperatures returned but not early enough to brighten up Balmorals 0730 departure from Oban on a sailing up Loch Linnhe to Fort William. 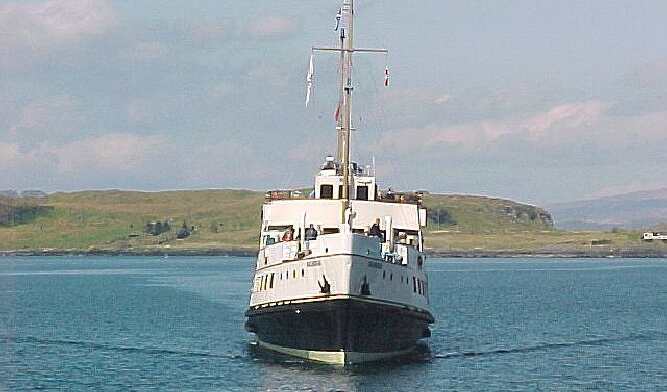 The sun had still to burn away the overnight haze when Balmoral went astern in a long loop towards Kerrera, turned and headed north past the ruined fort of Dunollie that stands sentinel at the northern entrance to Oban Bay. 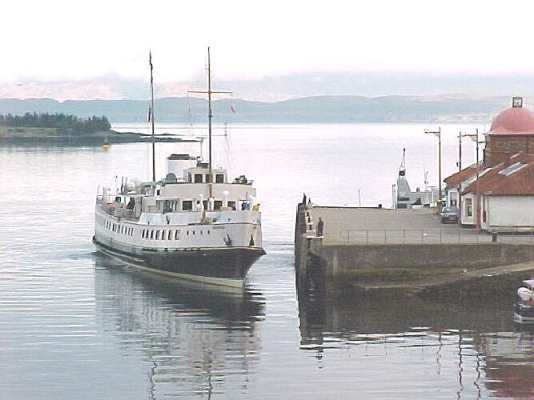 Long before she reached the Garrison town at the foot of Ben Nevis, the UKs highest mountain, the sun had appeared and passengers boarding at Fort William were treated to a beautiful warm sunny trip back down Loch Linnhe to Oban where she arrived just after noon. Sailing again at 1230 the ship headed south through the Sound of Kerrera and passengers were treated to a display by Oban lifeboat as volunteers from the Royal National Lifeboat Institution made a collection amongst Balmorals passengers for that very worthy body. 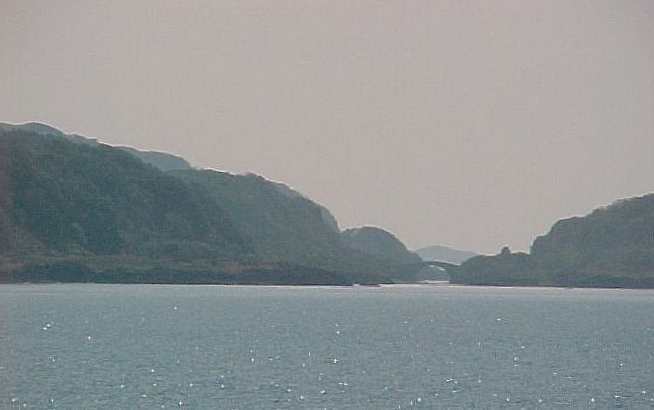 As the ship left the Sound of Kerrera and headed south past Seil Island we glimpsed Clachan Bridge, otherwise known as the bridge over the Atlantic because the narrow stretch of water that it spans between Seil and the mainland has no individual name and is regarded as part of the Atlantic Ocean. Further south we had good views of the former slate quarry villages of Easdale (on Seil Island) and Cullipool which have now adopted tourism as their major occupation. 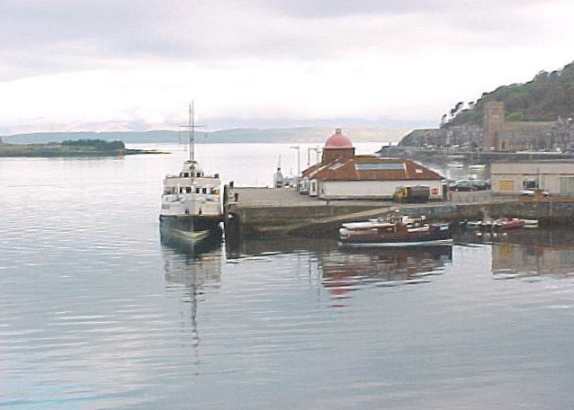 At the south end of Luing Balmoral was brought round almost 180 degrees to port to enter the Sound of Shuna between Shuna and Luing. Passing the village of Toberonochy on Luing she crossed over the top of Shuna and turned quickly in the mouth of Loch Melfort - the first of the advertised Four Lochs. Proceeding down Loch Shuna Balmoral turned to port through the fast tidal race at the Point of Craignish known as the Dorus Mhor. Time did not permit Balmoral to enter the third loch - Craignish - which was a pity because it is surely one of Scotlands most beautiful sea-lochs and some of us could remember the magnificent sails by Waverley in the mid 1980s which took us all the way up to Ardfern Bay, almost at the head of the loch and back down the straight narrow channel between Island Makaskin and the mainland. A very memorable sailing. Balmoral turned at the mouth of Loch Crinan where the Crinan Canal comes through from Loch Fyne, (eliminating the need for small craft to round the Mull of Kintyre when making passage between the Clyde and Western Isles - a welcome shortcut especially in winter). 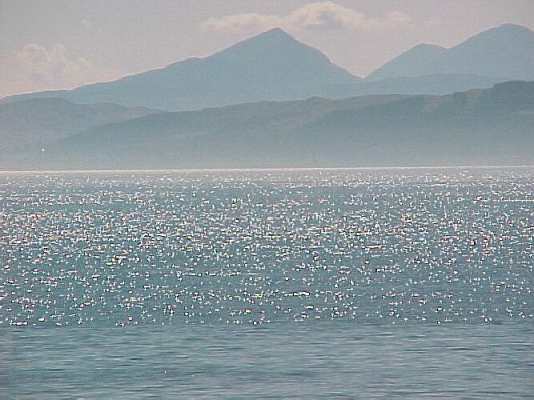 From Loch Crinan, Balmoral crossed the upper end of the Sound of Jura and cruised up the eastern shore of that very sparsely populated island giving a good view of lonely Barnhill Cottage where Orwell is said to have conceived the chilling novel 1984. Diverting into the Corryvreckan for the second time in 3 days Balmoral passed through the silent cauldron whose energy was almost totally dissipated by the fine weather. 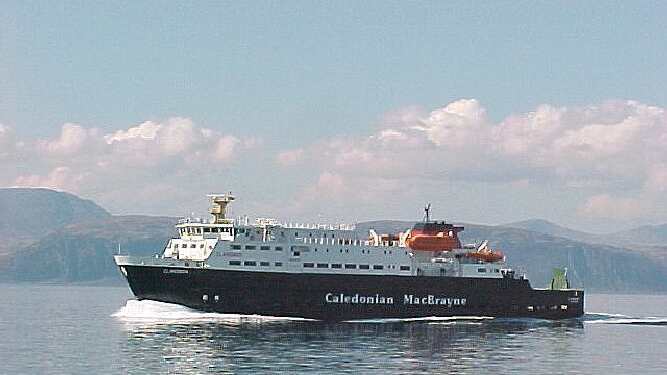 Heading north again just inside the Garvellachs Balmoral passed the CalMac ferry Clansman en route to Colonsay. 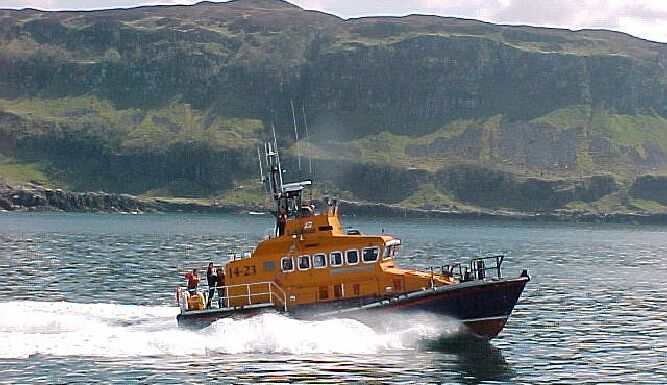 With time to spare Balmoral returned to Oban via the west side of Kerrera and the Dunollie channel. In doing so she passed between Kerrera and the barren little island of Bach off its south west shore - could that channel be known as the Sound of Bach? After a quick turnaround at Oban, Balmoral continued back north to Fort William on a glorious, sunny and clear evening. She spent the night in the shadow of Nevis.